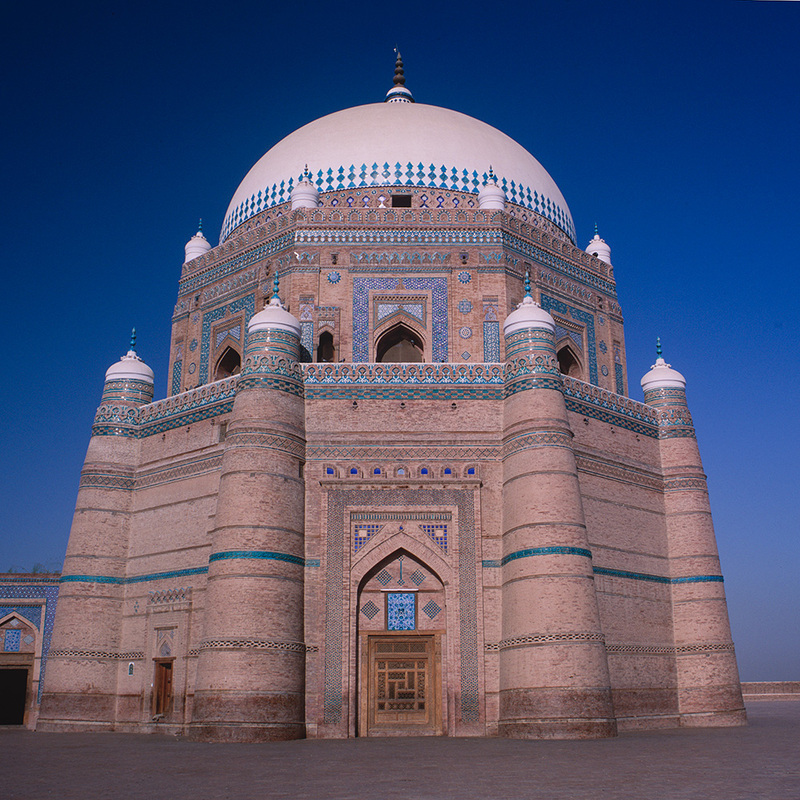 Completed in 1394 and lovingly restored by the Punjab Auqaf and Religious Affairs Department in the 1970's, this breathtakingly beautiful building lies at the northern edge of Multan Fort. The stunning tilework was painstakingly renovated by the Kashigars, or tile makers, of Multan. In his authoratitive book on the subject, Ahmad Nabi Khan describes it as "the most conspicuous masterpiece of early Islamic architecture in Pakistan", and I found the place to be almost bewitching in its tranquility and beauty. Apparently it is on a tentative list at UNESCO for world heritage status, but I'll bet that few outside Pakistan have heard of it.